That phrase, "trip of a lifetime" is generally overused. 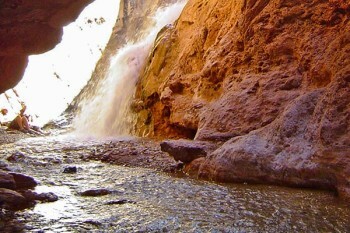 But, in the case of the 3-day Grand Canyon rafting trip with Western River Expeditions, it is an understatement. Our group of 60-somethings (and maybe 70-somethings) planned this trip for a year. All of our expectations were exceeded. Western River Expeditions has it all figured out! From pick-up at the hotel to the plane ride, helicopter ride, outstanding rafting and camping to the jet boat back to "civilization," there was never a glitch. The food was excellent, the guides were amazing, and they even arranged for a full moon for our first night out. As guests, we were maybe a bit older than the norm, but we all felt comfortable throughout the trip. We were challenged but never felt frightened or uncomfortable. The rafting was exciting but the guides were so skillful that I never felt any kind of fear. Just excitement!